Remember the Android One program which was meant to help smartphone manufacturers in developing countries to make entry-level smartphones with above average performance. Sadly, the program did not gain ground as manufacturers forced Google to water down the hardware requirements hampering Android performance. 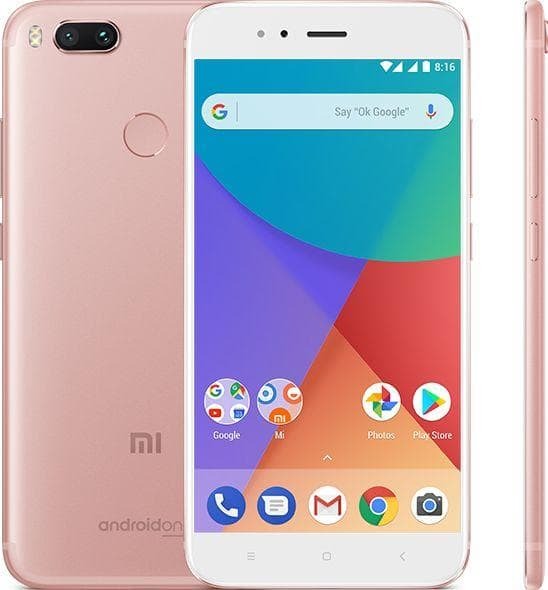 While Google has taken another step in this direction with Android Go last year, Xiaomi has decided to revive the doomed Android One platform with a mid-range smartphone that could give the much lauded Nokia 6 a run for its money. The Mi A1 was launched in India today and boy does it manage to impress us with its hardware and software. 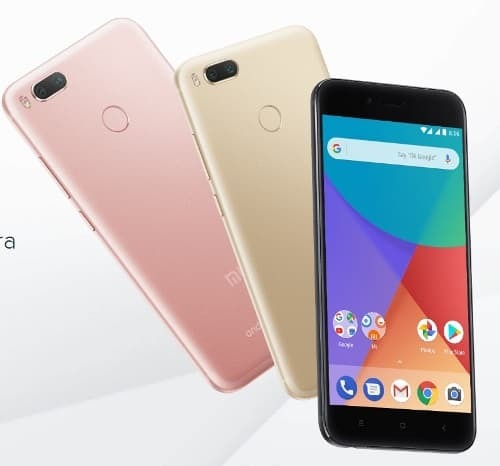 The Mi A1 overcomes one of the biggest pitfalls of Xiaomi by opting for the Android One program. 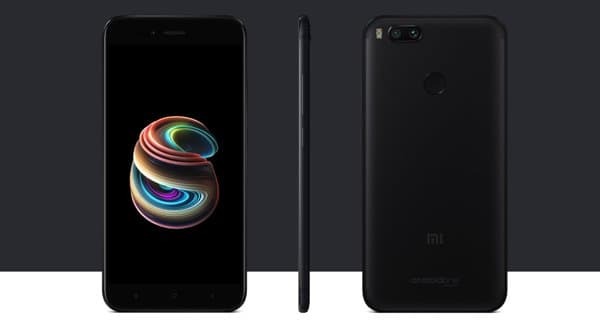 If you have used the any Xiaomi smartphone you know that they use a heavily modded Android OS called MIUI and most of times they are behind Google’s Android releases. Redmi 4 and Redmi 4A currently run Android Marshmallow and some Redmi Note 4s runs Android Nougat. By opting for Android One the Mi A1 comes with an unadulterated version of Android Nougat and you are guaranteed updates for the next two years which means you are sure to get Android Oreo. When it comes to hardware the Mi A1 beats the Nokia 6 hands down. The Mi A1 has a 5.5inch Full HD resolution display that is encased in Corning Gorilla Glass and has a pixel density of 403ppi. The Mi A1 is powered by a Snapdragon 625 chipset which has an octa-core setup of 2.0GHz CPUs, Adreno 506 GPU and 4GB of RAM. The Mi A1 has an internal memory of 64GB and you can use microSD cards of up to 128GB. The Mi A1 has a dual-camera setup just like the new Nokia 8. You can find a 12MP wide-angle lens and a 12MP telephoto lens along with two-tone flash. You can find 2x optical zoom and PDAF along with 4K and 720p slow motion recording. On the front however you have to make do with 5MP camera which seems underwhelming for a smartphone that costs Rs. 14,999. The Mi A1 has some new features like USB Type C connectivity along with Wi-Fi, Bluetooth and IR Blaster. The Mi A1 has a headphone jack but that is sadly at the bottom. You get light, gyroscope, accelerometer, fingerprint sensor and proximity sensor on the Mi A1. The Mi A1 has a smaller 3080mAh battery as compared to the 4000mAh battery on the Redmi Note 4. You can get the Mi A1 in Black, Gold and Rose Gold colour variants. 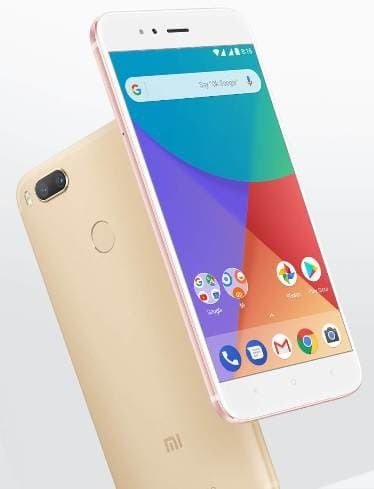 The Mi A1 takes some hint from LG and opts for a 10V smart power amplifier along with advanced Dirac HD audio and a top and bottom mounted microphone reduces noise during calls. When you buy the Mi A1 you get unlimited storage for photos shot with the camera on Google Photos just like you do on Pixel smartphones. The Mi A1 will go on its first flash sale on 12th September at 12pm on the Mi website and we can guarantee it will sell like hot cakes.